This is a podcast discussion dedicated to helping artists do better in the business of being an independent artist, with two artists of experience working for themselves: visual artist and designer Kerry Ann Lee and dance choreographer and producer Sacha Copland.? We hope you find this discussion as valuable as we did. 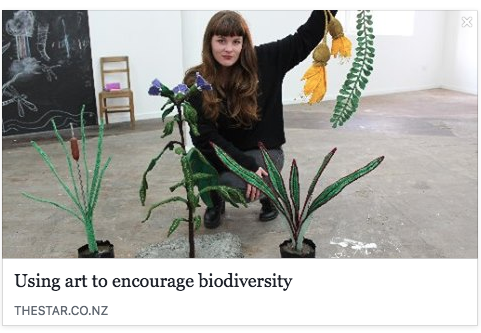 This is part of a monthly discussion and podcast series aimed at sharing and networking across the arts, with a mission to empower and resource artists to create work outside conventional venues as part of wellington city. Our next discussion at Toi Poneke is May 8, 12.30-2pm, ‘On creating creative capital’ with mayor Justin Lester. A discussion with our mayor who holds the arts and culture portfolio on what is needed to take our creative scene to the next level.